Swan Song for San Antonio Symphony? Not too many years ago, NPQ could almost have run a weekly feature on struggling orchestras and their often-related labor disputes and lockouts—there were that many similar stories in the first half of this decade. While those headlines have tapered off, news this week from the San Antonio Symphony underscores how fragile some of these cultural institutions continue to be. On Wednesday, after a “marathon” board meeting, the Symphony Society of San Antonio trustees announced that the 2017–18 season will be suspended following this weekend’s concerts, which happen to be part of the city’s tricentennial celebration. That leaves the symphony’s musicians out of work, and cancels two-thirds of the season’s scheduled performances. In many ways, the situation in San Antonio echoes those earlier reports: a standoff between the musicians and management over contract negotiations; a history of financial shortfalls (decades long, in this case); and perhaps a measure of magical thinking that somehow the show would still go on, despite obvious fiscal challenges. 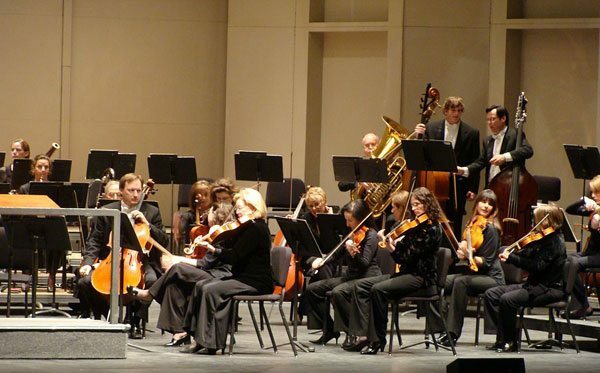 Craig Sorgi, a Symphony violinist and Musicians of the San Antonio Symphony labor union negotiating chair, called the SMSA’s reason a “false excuse,” and has said that the withdrawal liability would not be incurred if current pension fund contributions were to continue. To be clear, this is not the end of the symphony. As we observe San Antonio’s Tricentennial, it is the perfect time to recognize and celebrate the role that the fine arts have played in shaping our city, and to begin a true collaborative effort to firmly establish the symphony as the cornerstone of the arts in our community. It is our fervent belief that our city deserves nothing less than a world-class symphony.